TORONTO, ON February 25, 2014 – The National Crowdfunding Association of Canada (NCFA Canada) today announced that Aaron Djekic, Co-founder of CrowdClan, has joined the Association’s Crowdfunding Ambassadors Program. Aaron Djekic Founder and CEO of CrowdClan, Aaron is a former professional hockey player and has over 8 years of experience helping start-up companies raise capital and get off to the right start. Currently Aaron is actively growing CrowdClan into one of the most prominent crowdfunding resources online. 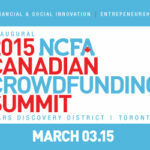 “It is an honor to become an ambassador for the National Crowdfunding Association of Canada. Over the past two decades we have seen the entrepreneurial spirit in people die out, due to fear and lack of job security. I believe crowdfunding has reignited the spark in graduates and professionals all over the world. The exponential growth rate of the industry is very exciting and I look forward to the continued impact crowdfunding will have on start-up businesses across the globe.” – Aaron Djekic, Co-founder, CrowdClan. Aaron has sharp focus and understands the need for collaboration to advance and develop crowdfunding models at its core. He brings a large crowdfunding community of followers on various social media channels and we are excited to receive Aaron’s contributions to NCFA Canada’s expanding Ambassadors program.” -- Craig Asano, Founder and Executive Director, NCFA Canada.